Here at CTCL, we care a lot about voting and elections. We want election officials to be supported with training and tools so they can run a voting process that is trustworthy and inclusive. And we want the public to be able to easily find information so they can make decisions about how to participate in our democracy. As a small but mighty team, we’ve been working towards these goals since 2015. So, as CTCL turns 4 years old this year, we’re looking back on 2018 and sharing some achievements that have moved us closer to our vision. We recognize that our story and our ideas are valuable -- and who better to share them than us. Our executive director, Tiana Epps-Johnson, was invited to the TED stage this past November. She talked about what’s needed to bring the U.S. voting system into the 21st century and CTCL’s approach to make it happen. We know that collaboration is fundamental to achieving ambitious goals. In January, our civic data team hosted its 3rd annual ballot data convening where we brought together 38 individuals from 25 organizations who use ballot data to drive civic participation. Topics of conversation included opportunities and challenges of working together as a field; new systems and standards for making collaboration possible; data and political geography availability; and how organizations define and measure their work’s impact. In May, our government services team partnered with the Center for Civic Design to host a workshop on modernizing voter registration. State and local election officials, a DMV administrator, researchers, and advocates attended the workshop and shared their ideas on how local election officials might best manage the effects of policy changes like Automatic Voter Registration. Using the research from this workshop, combined with interviews from the field, we produced the Voter Registration Modernization Guide in the Election Toolkit. In 2018, we doubled-down and focused on building and growing some of our core programs at CTCL. For example, the Election Toolkit continued to be a valuable resource for the election administration community. It’s a beautiful, accessible website where election officials can find free and low-cost tools to help promote civic engagement and make voting easier. Launched in June 2016 with 11 tools, in 2018 it grew to a total of 19 tools and over 40,000 unique site visitors. After debuting our online training series in the summer of 2017, we expanded the menu of professional development courses for election officials in 2018. We teamed up with the Center for Democracy and Technology to build and deliver our most successful series to date, the cybersecurity series. Together, we trained over 300 election officials who serve nearly 50 million voting age citizens. Attendees learned cybersecurity terminology, the National Institute of Standards and Technology cybersecurity framework, and cybersecurity communication best practices so they can administer more secure and resilient elections across the country. In November, CTCL’s Ballot Information Project once again powered tools and services that helped millions of people across the country answer the question, “What’s on my ballot?”. Our partnerships with search engines, social media sites, and civic engagement organizations ensure that voters can find the information they need in the places that they already look for it. We’re excited to continue expanding our ballot information offerings in 2019 -- stay tuned! CTCL’s civic data isn’t just for civic engagement in November, however. The Governance Project is a nationwide dataset of our federal, state, and local elected officials that has been maintained by our civic data team since 2013. This data is made freely available via the Google Civic Information API and powers tools that help connect communities to their government year-round. Expanding on these datasets, the Reflective Democracy Campaign highlighted that more women and people of color ran for office in 2018 than previous years, better reflecting the people they represent. We had 5 full-time staff at CTCL’s first official staff retreat in 2016. Over time we’ve grown to 15 full-time staff in 2018! Our newest team members Sondra Grover, Keegan Hughes, and Josh Simon Goldman bring exceptional talent and energy to the operations and government services teams. We also expanded our Advisory Committee of election experts from 8 to 10 members, including our most recent recruits Indra Arriaga from Alaska, Kim A. Barton from Alachua County, Florida, Norelys Consuegra from Rhode Island, and Maurice Turner from the Center for Democracy and Technology. In addition, our executive director, Tiana Epps-Johnson, was chosen to join the inaugural class of Obama Fellows in 2018. She’s using this opportunity to learn with her cohort, cultivate leadership skills, and guide our organization to the next level. If you can believe it, by this time next year it will be 2020. By then, we’ll see a larger professional network of election officials who are committed to administering more secure and inclusive elections and stronger partnerships with organizations that will engage and inform millions of people in the U.S. about their elected representatives. And while the hours and weeks of work at CTCL all add up to years (and these annual blog posts), it’s really about adding up to something bigger -- a system that invites more people into the voting process and makes it easier for them to stay there. Thanks for supporting the Center for Technology and Civic Life. 2017 was another year of growth and impact for our small, but mighty team. We’re excited to share our 2017 highlights and a sneak peak at what we’re up to this year. At CTCL, we know that teamwork makes the dream work. In February 2017, we recruited an Advisory Committee to shape our curriculum and expand the reach of our Government Services work. The Advisory Committee is comprised of 8 election experts from across the country. To date, we've convened four times to discuss updates to the Election Toolkit, ideas for new courses, and civic data. Our advisors have been instrumental to strengthening the CTCL brand and helping us reach more election officials. Because of their outreach, our ELECTricity network grew to over 1,000 members in 2017. Stay up to date on the work of our Advisory Committee (and other highlights throughout the year) by visiting our blog. In March 2017 CTCL’s Civic Data team hosted our second ballot data convening at Google DC. This annual meeting, which is made possible with support from Democracy Fund, brought together 37 people from 24 organizations that collect ballot data and/or build voter-facing ballot tools. Share learnings from the 2016 election cycle. Identify concrete ways we as a field can improve ballot data collection and expand civic data’s impact. Launch working groups to implement mutually identified solutions. Since the 2017 convening, the working groups have already made concrete advancements in each issue area. This includes completing an analysis of the state of states’ GIS systems based on surveying done by new working group member the National States Geographic Information Council (NSGIC), creating a new governance structure for Open Civic Data Identifiers, conducting a shared research scan on audiences and impact for civic engagement, and beginning the process for sharing primary-source information among ballot data collection groups. And this work has continued into 2018! In January we held our third convening in Washington, DC. Together we reflected on our 2017 collaboration and identified priorities for our 2018 work. Interested in learning more about our work to foster collaboration among ballot data groups? Check out our resource hub from the 2018 ballot convening. 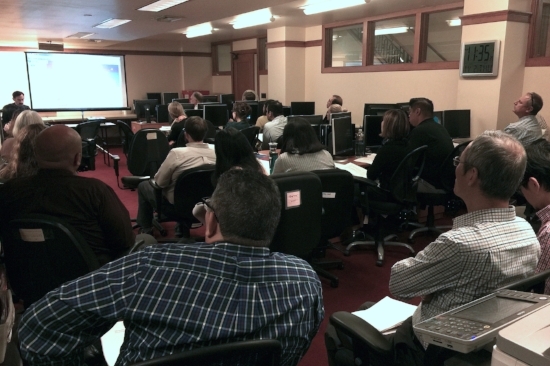 The CTCL Government Services team advances the tech skills of election officials through professional development. To keep our courses convenient, affordable, and practical, we decided to deliver the content in a modern way -- through an online classroom. Collection, Analyzing, and Visualizing Election Data. Courses were offered on successive Wednesdays in July and August of 2017. Our experiment with online curriculum delivery was a success! Attendees ranged from large election authorities like Dallas County, Texas (with 1.29 million registered voters) to small jurisdictions like the city of Houghton, Michigan (home to 3,056 registered voters). All told, we had 102 election officials representing 34 county, 8 municipal, and 3 state offices. Together, these officials administer elections for over 17 million voters. And we’ve kicked 2018 off with another online training opportunity for election officials. Is your election office looking for new training this year? You can register now for affordable online courses throughout February, including 2 new courses for 2018 -- Messages that Motivate Voters and Poll Worker Management Best Practices. In October, CTCL’s Civic Data team released an update to our Reflective Democracy dataset in partnership with Womens Donor Network. 2017 marked our third update to this dataset that tracks the race and gender of elected officials and candidates. This dataset helps organizations and constituents understand what their government looks like, and who is (and is not) represented. Our 2017 data release was featured in Cosmopolitan’s Run for Office package as well as in the Washington Post. And for the first time, the dataset not only included all federal, state, and county officeholders and candidates, but also included city-level officials and candidates. Are you interested in doing your own analysis? You can access the datasets from 2012, 2014, and 2016 at wholeads.us. Elections don’t only happen in even years. In fall 2017, CTCL’s Ballot Information Project was in full-swing covering statewide elections in New Jersey and Virginia, as well as every election in cities with a population over 130,000 people. With a smaller volume of data to collect, our Civic Data Team was able to use the odd-year election as an opportunity to develop and refine our internal systems while also providing data to partners including FirstVote North Carolina, We Vote, and Rock the Vote. We were delighted that thousands of voters were able to learn what was on their ballot through tools powered by our data. And are looking forward to using our new internal systems to grow our 2018 data offerings. Curious about what elections we’re supporting in 2018? Find out about data releases (and other CTCL happenings) on our Events page. In addition to providing professional development opportunities for election officials, CTCL’s Government Services team helps election officials use free and low-cost tools to promote civic engagement and make voting easier. The Election Toolkit is an online home for a variety of resources that meet this need. In partnership with software developer Mark Pelczarski, and with support from the MIT Election Data and Science Lab, we collected data in November 2017 that will power a new tool in the Election Toolkit: the voting time estimator. The voting time estimator will help election officials understand how long it will take a voter to cast a ballot based on the number and types of races and issues that are on the ballot. This type of data will allow election officials to make resource allocation decisions to minimize voter wait times at polling places. Accurate estimations require lots of quality data. To refine voting time estimations we recruited 8 jurisdictions to measure the time voters spent with a variety of different ballot styles in November 2017. Overall, we gathered 4,816 voting times from 45 polling places. This data, along with others from past elections, will power this new tool which is scheduled to be added to the Toolkit is Spring 2018. Curious about other other free and low-cost tools for election officials? Visit electiontools.org. At CTCL our small but mighty team is getting less small and more mighty. In 2017 we added three new positions. In January, Victoria Nguyen joined our team as our Government Services outreach associate. Victoria has developed beautiful digital and print content to spread the word about our Government Services work and is the lead on our training outreach strategy. We welcomed Henry Chan as our Civic Data research associate in August of 2017. Henry became a full-time staff member after nearly a year as a research fellow on the Civic Data team. Henry keeps our Governance Project dataset fresh year-round and will be leading our 2018 Ballot Information Project collection efforts. And in January 2018 Noma Thayer joined our team as operations manager. Noma will be the lead on CTCL internal operations, making sure that we run like a well-oiled machine. This growth was made possible in part by renewed general operating support in 2017 from both the John S. and James L. Knight Foundation and the Democracy Fund. Each foundation committed up to $500,000 over two years. Do you want to join the CTCL team? We’re currently hiring a Civic Data Research Associate. Our team has hit the ground running in 2018. From our third annual ballot data convening to our February online training series, we’re already delivering 2018 content to modernize how local government and communities interact. And we have a lot in store. Stay tuned for new trainings for election officials on topics including cybersecurity and best practices for automatic voter registration implementation. And be on the lookout for new data releases, including candidate and referenda information all the way down to the special district level this fall. We’ll be posting updates year-round on our blog and events pages. 2017 was a busy year for CTCL’s professional development program. We convened a group of insightful advisors to help steer the direction of our training, offered our first-ever series of online courses, and traveled nationwide to work with election officials in their offices. All told, we trained more than 300 officials in 15 states! Follow along as we reflect on a year of visiting new places, meeting new people, and learning together. By the way, if you’re interested in learning with CTCL in 2018, get in touch with us! At CTCL, we strive to be reflective. So, to get feedback on our courses and ideas for growth, we put together an Advisory Committee in early 2017, inviting some of the best and brightest in the election field to share perspectives on professional development. Starting with a kickoff meeting in Chicago last March, our Advisors have played an invaluable role in helping us improve our offerings and reach fresh audiences. We owe much of our impact in 2017 to their advice and support. When we first spoke with officials from the Harford County Board of Elections at a conference, they shared a challenge that they were dealing with: wanting to improve their website. Soon, we were traveling to Maryland to provide guidance for remodeling their site and advancing their Twitter skills. Since we worked with them, the Harford County Board of Elections Twitter account has become known for its fun and engaging content, even being recognized in an ElectionLine article. Minneapolis and Minnesota are known for being ahead of the curve when it comes to election administration. So, when we worked with Minneapolis’s Elections and Voter Services Division, we helped the staff build upon an already strong foundation of skills regarding social media, data, and communicating online. In the months following our social media course, the Division’s Twitter account has more than doubled its number of followers and, like Harford County, was spotlighted in ElectionLine. Held in July and August, our online series of Summer School courses was our breakout success of 2017. The courses brought together over 100 election officials from jurisdictions as big as Dallas County, Texas (population: 2.6 million) and as small as Houghton, Michigan (population: 8,000). We were excited to see how the low cost and convenience of online learning can bring people together. If you missed Summer School, don’t worry: we’re offering the same four courses again this February, and we’re adding two brand new courses: Messages to Motivate Voters and Poll Worker Management Best Practices. Check out the details on our Online Series web page. 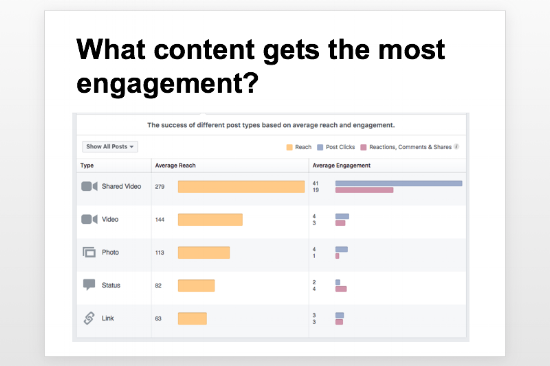 If you’re just getting started with social media, you need to know the basics. But if you have more experience, it’s valuable to get an assessment of your work and guidance to improve. That’s what we provided for the St. Louis County Board of Elections in a custom online course. Identifying work done well and areas for improvement, we offered lots of ideas to stimulate discussion and help the Board get more from its social media outreach. Until September, Edwards County was one of many small, rural counties without a website to provide civic information to the public. Using the website template created by CTCL, we helped the Edwards County Clerk set up web infrastructure and discussed best practices for civic communication online. Since its launch, www.edwardscountyelections.org has been the subject of local media coverage and has received thousands of page views. We rounded out 2017 with a trip to the West Coast, training large groups of election officials at the San Francisco Department of Elections. To meet the needs of the Department, we prepared an in-depth, tailored course on using election data and joined it with shorter sessions on social media and accessible communication. Participants appreciated getting to create customized maps using San Francisco data, and we felt privileged to work with such a big group of dedicated election folks. With 2017 in the rearview mirror, we’re excited to continue cultivating our professional development courses and expand our curricula in this midterm election year. It’s our goal to reach new groups of curious election officials in 2018, and we’re hoping to see you in our classroom -- whether it’s online or face to face -- in the months ahead. Last month, the Election Toolkit turned 1 year old. To mark the occasion, we’re looking back at the Toolkit’s origins as well as its growth and impact during this first year. We’ll also hear from members of the team who created the Toolkit about why it continues to be an exceptional resource for the election officials and other civically minded folks who use it. At this point, electiontools.org has received over 10,000 unique visits, and they’ve come from all 50 states. Election officials from across the nation have used the tools and have shared their stories. But the Toolkit started off as just an idea. Noah Praetz, Director of Elections for Suburban Cook County, Illinois, says that he came on board as a project partner in 2015 because he felt the Toolkit could address a profound need. Noah was one of 19 election officials who helped kick off the Toolkit project at a meeting in Chicago in December 2015. The purpose of the meeting was simple: to suggest ideas for tools in a spirit of supportive cooperation. 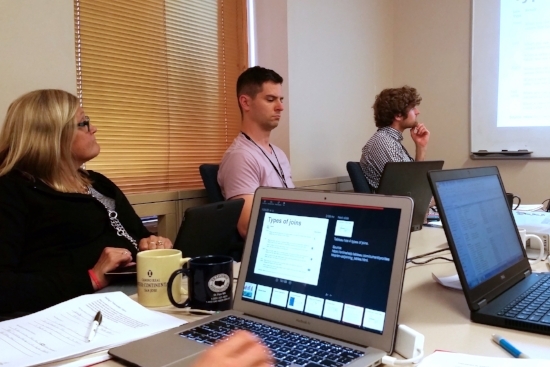 The Toolkit kickoff meeting, with Noah Praetz and Jennifer Morrell (Arapahoe County, CO) in the foreground. Photo by Julie Anderson. Whitney May, Director of Government Services at the Center for Technology and Civic Life, was at the meeting, too. Whitney created the original proposal to make the Toolkit, submitting a pitch to the John S. and James L. Knight Foundation’s News Challenge on Elections in early 2015. This ethos of collaboration has always been fundamental to the Toolkit, which ultimately launched in June 2016 with 11 tools, complete with step-by-step instructions. In the year since then, we’ve increased the number from 11 to 16. And while we’ve added new tools, we’ve also been mindful to keep the original tools up to date by revising instructions and contributing new materials and resources. It’s these extra elements, after all, that bring added value to the technologies featured in the kit. They’re one of the things that project partner Whitney Quesenbery, Co-director of the Center for Civic Design, says she emphasizes when she introduces the Toolkit to new audiences. In the year following the kit’s launch, Whitney May and Kurt Sampsel of CTCL have brought this message to audiences of election officials, political scientists, and civic tech professionals, presenting the Toolkit at conferences from Ocean City, Maryland to San Francisco, California. Now in its second year, the collection of Election Tools continues to expand and find new users. Several new tools are in the process of research and development, including a template for making pocket-sized voter guides, a how-to guide for drafting a request for proposal (RFP), and an estimator to help predict how long it will take to vote a ballot. Do you have tool ideas? We’re always open to suggestions for new tools. Have you used a tool? Get in touch at hello@electiontools.org so that we can share your story! Are you holding a conference? We’d be glad to attend and present the Toolkit to your audience. Email us at hello@electiontools.org to start the conversation. Across the country, the spotlight throughout 2016 was on elections and governance, making it an exciting second year for us at the Center for Technology and Civic Life. As we celebrate CTCL’s two year anniversary, we wanted to share a season-by-season look back at what we accomplished in 2016, and take a sneak peek at what’s ahead. The snowy part of 2016 started with a flurry of activity. In January our Civic Data team brought together 30 different organizations from across the civic tech space. The focus of the convening, hosted at Google’s Washington DC office, was how groups can work together to better provide voters with information about elections. After a lively day-long discussion, we identified a number of areas for future collaboration. That same week the team attended a meeting at the General Services Administration focused on similar themes. At the meeting, Donny Bridges presented on how investing in local government can make civic technology a more sustainable field. While the Civic Data team battled the snow in DC, the Government Services team headed to California for a series of trainings and presentations about online voter engagement. The team started the trip training 56 election officials across two trainings in conjunction with the California Association of Clerks and Election Officials (CACEO). Later, at the Future of California Elections (FoCE) conference, Whitney May spoke on a panel about engaging historically disenfranchised communities around elections. This was the first trip of a whirlwind year of trainings and panels for the Government Services team, who presented to hundreds of elections officials across the country and attended conferences in ten different states. As the weather warmed up, CTCL headed to Boston - well to a school near Boston, at least. Our Executive Director, a 2015-16 Technology and Democracy Fellow at Harvard’s Ash Center, led a workshop focused on leveraging digital tools to reach today’s voters. Later in the spring, CTCL’s Ballot Information Project (BIP) was selected from a pool of over 1,300 programs as a finalist for the Classy Awards, which were held in Boston in June. June also saw the launch of the Election Toolkit, a library of free and low-cost tools for election officials. Presented complete with step-by-step instructions, the tools are designed to help promote civic engagement and make voting easier. The entire project was designed by, with, and for election officials, and was a collaboration of CTCL, the Center for Civic Design, and the election offices of Cook (IL), Hillsborough (FL), and Inyo (CA) counties. Funding for the project was provided by a Knight News Challenge grant. As of the end of the year, we had over 5,000 unique visitors to the Toolkit site, and they came from all 50 states! When not traipsing across the country training, promoting the Toolkit, and collecting its success stories, the Government Services team found time over the summer to partner with our friend Monica Crane-Childers of Democracy Works to record two data workshops with the Election Assistance Commission (EAC). In the first-ever Tech Time video we talked about the importance of creating a data culture in election offices. The second video discussed data visualizations and how they can help tell a compelling story about election administration. Our Civic Data team (with its heroic set of 2016 research fellows) was holed up all summer, preparing for the election, but our existing data projects continued to make an impact. The Women Donors Network's Reflective Democracy dataset of election official and candidate demographics, built on top of our Governance Project data, was cited by everyone from Congresswoman Donna Edwards to the Netflix documentary 13th. We also saw the benefits of keeping our data open when Fusion and Color of Change collaborated to build an interactive look at prosecutorial elections. On November 8th, in case you missed it, there was a Presidential election. The hard work of the Civic Data team's Ballot Information Project (BIP) once again answered voters' most asked question around elections: "What's on my ballot?" This was BIP's third major election cycle collecting and publishing a nationwide dataset of candidates and ballot measures, and by far its most ambitious. In 2016 our candidate dataset included over 85,000 candidates for more than 45,000 offices across the country - from President all the way down to mosquito control boards and township trustees. This year our ballot information informed more voters than ever before. Our data provided the ballot information for Google's Voter Assistant, which was accessed 150 million times in the run up to the election. BIP data was also served 44 million times through tools like Twitter's @gov election service, built on top of the Google Civic Information API. We also partnered with Facebook for the first time in 2016 to provide ballot information to their users across the U.S. More than 9 million unique people previewed their ballot using Facebook's vote planner tool. It wasn't just tech giants using our data. Thousands of other people across the country used BIP data in their own voter information tools, including 32,000 students across 76 high schools in North Carolina who voted in an election simulation powered by BIP data. All told, in 2016 CTCL had the largest nonprofit voting information program in the country. Once again, we’re roaring into the new year with ambitious efforts already in the works. Early this year, the Civic Data team will be convening a sequel to last year’s discussion around how to make civic technology more collaborative. We’re also in the process of updating our Governance Project data to reflect the results of the 2016 election, so that we can continue to power tools that make it easier for people to interact with their representatives. One of our Government Services team’s biggest accomplishments of 2016 came at the very end of the year, and will surely have a big impact on 2017: we hired Victoria Nguyen as our Outreach Associate. She’ll be cultivating our network of election officials, promoting our new professional development courses, and coordinating our social media campaigns. Be on the lookout for the launch of a full webinar series of digital and data courses for election officials this spring. A new set of opportunities and challenges face us in 2017, both as a country and as an organization. We will meet them head on, striving to improve our democracy through our partnerships with election officials and the civic engagement community. 2015 was the Center for Technology and Civic Life’s first full year in operation, and although we’re still a young organization, we’re proud of the progress we've made toward our mission of modernizing civic engagement between local government and the people they serve. And in these first few weeks of the New Year, we’re even more excited about what the future has to bring. In this update, we’re taking a moment to look back on our accomplishments and to share our plans for the year ahead. Founded in the fall of 2014, CTCL set up an office in Chicago in the early weeks of 2015, at the height of a harsh winter in the Windy City. With the support of Smart Chicago, we got settled into our new city by first setting up shop in a coworking community located in Chicago’s famous Merchandise Mart. After a few months, we established a more permanent office at WeWork Fulton Market, a coworking space in the West Loop area. Right out of the gate we worked to create some signature tech tools for local election officials. Based on a listening tour in which we traveled around the country and asked local election officials what kind of technology they needed the most in their offices, we established a straightforward, elegant, and affordable election website template and created a training program to help jurisdictions build a new site and get it off the ground. This work benefited from great partnerships, including the Center for Civic Design and the Knight Prototype Fund. Throughout the year we were on the road connecting with local election officials near and far. We spoke at conferences in states including New Jersey, Virginia, and Missouri. And we hosted webinars on the topic of publishing civic information online. All told, we led skill-building workshops at conferences with some 300 people. To help election officials understand where their current communication efforts may be falling short, we offered to perform detailed assessments of their current election websites. We received over 45 requests for assessments. We also worked to call attention to an even bigger problem: the number of local election authorities that have no website at all. Doing detailed research on the presence of election websites in Illinois and Missouri, we discovered that many counties in both states have no website: 32% of counties in Illinois and 45% in Missouri. Our findings are consistent with the research published by Cyd Harrell and the Center for Civic Design in 2013 that found nearly one third of U.S. counties lacked an election website. Today there are 10 jurisdictions using our website template, and there are others who will be joining them as election offices gear up for the 2016 elections. Several trainings are already scheduled, and we look forward to working with even more election officials in the coming months. 2015 saw the debut of another exciting project, as well: the Election Toolkit. Along with our project partners -- the Center for Civic Design, the Cook County (IL) Clerk, the Hillsborough (FL) Supervisor of Elections, and the Inyo County (CA) Clerk -- CTCL was selected as a winner of the John S. and James L. Knight Foundation’s News Challenge on Elections, giving us the support needed to undertake the Toolkit project. The Toolkit -- to be published in summer 2016 -- will be a resource library of tested tools recommended by election officials from around the country. Along with the tools will come step-by-step instructions that will empower every election office to benefit from them. In December, 19 election officials convened in Chicago to recommend, categorize, and prioritize an abundance of inventive tool suggestions -- over 300 in total. In the months ahead, we and our project partners will be testing the tools, drafting instructions, and designing the Toolkit website in preparation for its release to the public. Our Civic Data team also made strides in 2015. This year we continued to maintain the Governance Project, a dataset of elected officials from the federal down to the county level, which contains information such as officials’ names, offices, as well as contact information. We kept this information accurate by making regular updates based on changes to elected officials’ websites, resignations, special elections, and the 2015 elections held in some states. We expanded our coverage of U.S. cities, so the Governance Project now contains data on elected officials in over 200 cities, including every city with a population over 130,000 people. We additionally had opportunities to build on top of the Governance Project in order to investigate research questions about elections and representation. For example, adding demographic data to subsets of the Governance Project revealed race and gender disparities between candidates in 2012 and 2014 elections and the populations they sought to represent. Another project highlighted the lack of diversity in elected county-level prosecutors. Our efforts in 2015 didn’t go unnoticed. In July, the work of our Civic Data team was highlighted in a New York Times article on the lack of Black prosecutors in the U.S. Then in October, Fortune reported on the findings from our analysis of 2012 and 2014 candidates. When Executive Director Tiana Epps-Johnson spoke at the Techonomy conference in Detroit in September, her message was amplified through articles in the Detroit Free Press and the Huffington Post. And in December, Government Services Associate Kurt Sampsel was interviewed on KSMU-FM, a public radio station in Springfield, Missouri, on the topic of civic information gaps in the Show Me State. We were delighted to have these opportunities to share our work with the public and tell our story about the role that technology can play in improving the civic scene in America. 2016 -- a big year for elections, to be sure -- also promises the expansion of programs here at the Center. For one thing, we will continue to cultivate the tech curricula that we offer election officials. In February we’ll be leading two regional trainings for the California Association of Clerks and Election Officials on the topic of using social media and other communication tools for reaching voters. We just attended a great conference in Colorado and we're also speaking at several other conferences this year, including FOCE in California, NJAEO in New Jersey, and KCCEOA in Kansas. The Civic Engagement Toolkit for Local Election Officials will be published in the summer, giving election officials throughout the U.S. a wealth of tools that they can use for the General Election in the fall and beyond. And to deepen our own experience of hands-on election work, we’ll be serving as Election Coordinators for the March primary here in Chicago. The Civic Data team is also expanding, with the addition of our new Software Developer, Richard Simões. Of course, we will continue maintaining and expanding our core Governance Project dataset and work with project partners to build even more tools and research on top of it. A major election means a major year for election data, and CTCL’s Ballot Information Project is once again poised to play a big role by aggregating and standardizing the candidates and referenda found on local ballots nationwide. Our data year will kickoff in earnest at the end of this month, when CTCL and the Democracy Fund co-host a convening at Google’s D.C. offices, where consumers and producers of ballot information will gather to discuss ways to better collaborate throughout the year. Without a doubt, 2016 feels like an exciting time for civic technology. As we look forward to growing bigger and stronger as an organization, we also take time to look back on where we’ve been: our accomplishments, our challenges, and the things we’ve learned. Above all, we remain convinced that technology has an important role in enhancing our civic lives. Thank you for believing with us.